Check out this amazing home located on Stoneybrook Ct. SE in Leland, NC. We are confident this listing won't be on the market for long - so act fast! See 10176 Stoneybrook Ct. SE for more photos and information! Facebook Live House Tour Video! What Are The Features of 10176 Stoneybrook Ct. SE? 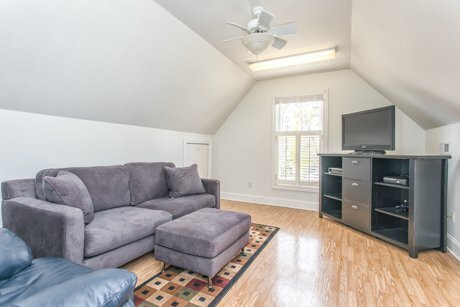 2 Bedroom, 2 Bathroom Home for Sale! Welcome home to 10176 Stoneybrook Ct. SE! 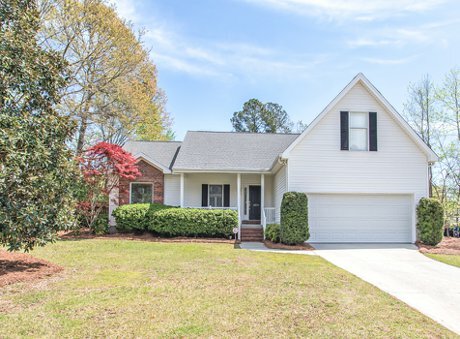 This home is modern and move-in ready, with 2 bedrooms, 2 baths, and a 2-car garage. 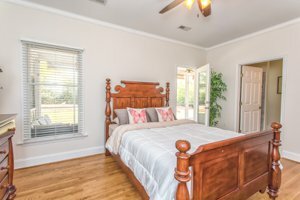 You don't want to miss out on this beautiful house! 10176 Stoneybrook Ct. 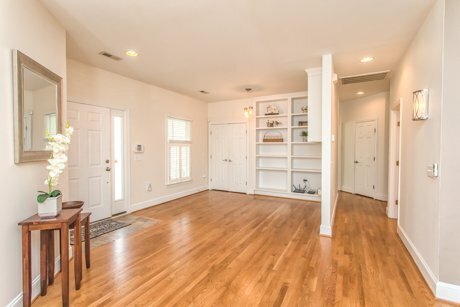 SE is spacious both inside and out with its open floor plan and large front and back yards. Guests will immediately feel welcome when they come in off the front porch into your large entry foyer. The space in the entry is large enough to incorporate a desk for a home office or a bench and cubbies for your shoes and other outdoor gear. Chat with friends or family from the kitchen while they sit at the breakfast bar or living room, in view of the kitchen. Keep an eye on your favorite tv show while you make a snack in the kitchen. 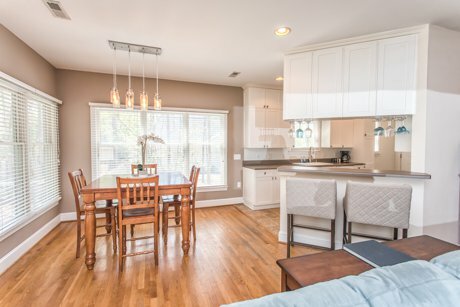 This home is the perfect place for hosts who often find themselves missing out on the conversation while they run back and forth from the living/dining room to the kitchen. 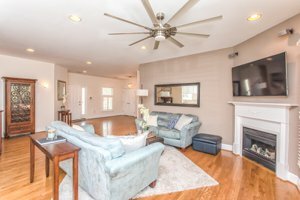 With the exception of the kitchen, laundry room, and master bathroom, gorgeous hardwood floors run throughout the entirety of 10176 Stoneybrook Ct. SE. Modern paint and finishes make this home feel fresh and new. The warm gray paint in the main living areas is neutral but is also trendy and cozy. 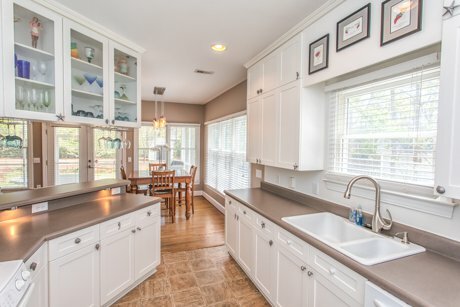 Clean white cabinets and trim contrast beautifully with the warm gray color and make it pop. The seashell kitchen drawer and cabinet handles will make you feel like you're enjoying a day on the beach! The additional space provided by the finished room over the garage is perfect for a home office, gym, or even a secluded guest room! From the living or dining rooms, step out onto your huge 15x20 screened-in porch. 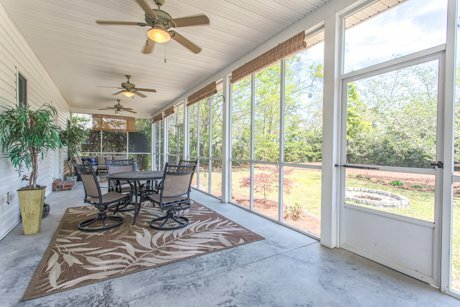 Complete with ceiling fans and overlooking your beautiful backyard - this porch is the ideal place to enjoy a meal, host a barbecue, or sit down for a beverage at the end of the day! 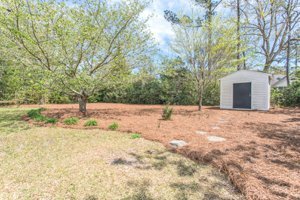 Between the firepit, the storage shed, and tasteful landscaping, this backyard is the perfect combination of beauty and comfort. Gather around to make s'mores or set up a hammock to relax in the shade. Either way, everyone's going to want to take advantage of this wonderful backyard! 25 minutes to the beach! Schedule a private showing tour of 10176 Stoneybrook Ct. SE, Contact Regina Drury 910-239-1396. 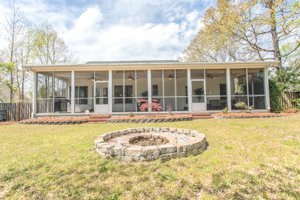 For more properties for sale in Leland, Click here. Want to know what your home is worth? Click here for an Instant Home Value Report.